Jodie Kaufman has just been appointed as the first woman to sit on the board of H.W. Kaufman Group in the company's 50-year history. 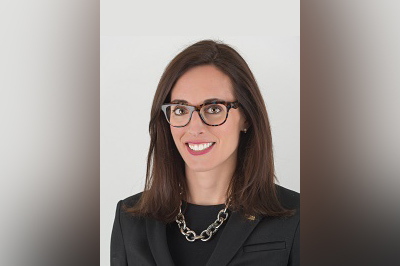 Speaking to Insurance Business, Kaufman, who is the senior vice president of HW Kaufman Financial Group and managing director of Burns & Wilcox Canada said she’s honored by the appointment. “That's something that's really impactful to me and to a lot of our other team members who look up to me and are thrilled to have a woman's voice represented,” she said. “Now, I feel that I'm representing a lot of women in the industry with my own voice,” she said. Starting her career in securities law, Kaufman says she had to work extremely hard to make sure she was on the same playing field as her male colleagues. “All of the men had stay-at-home wives, so they came from a different environment where the men worked and the women took care of the family. As soon as I became a mom, I felt a tremendous pressure to be even better. In fact, I felt uncomfortable talking about my kids because I didn't want it to disadvantage my career,” she said. Now a senior executive in insurance, Kaufman says she works long hours but still tries to have time where she focuses on her family. “I bring work home all the time. I work at night time when my kids are sleeping, or if I'm watching one of my daughters play a sport or have a half an hour when they're at dance class or something,” she said. But Kaufman draws the line at going to the office on weekends, except in emergencies. “I can think of my whole insurance career in the past five years, I came once on a weekend because we were moving offices. There's really no reason why I can't do everything I need to do away from the office on a weekend,” she said. Kaufman says she’s been pleasantly surprised and encouraged by the level of support from her male and female clients, business partners and colleagues throughout her career and since her recent promotion. “Clients and business partners see all that you're juggling in your life and value what you're delivering,” she said.